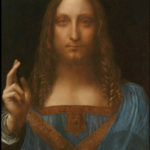 Stamping any new finding as definitively Da Vinci’s — he was, after all, one of the world’s most copied artists — would be exceedingly difficult, says John Brewer, author of The American Leonardo: A Tale of Obsession, Art and Money. “We all have this fantasy that we’ve gotten better and better at authenticating,” he says. But the new technologies — forensics, infrared imaging and so forth — “will only tell you whether it’s not by someone.